Rather than talk for several hours about "hypothetical projects," let's create something! 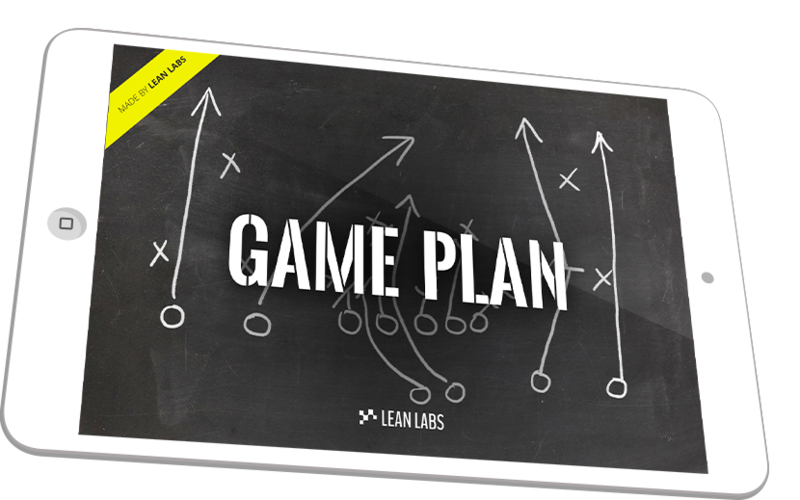 Why Game Plan with Lean Labs? Rather than talk for several hours about some "hypothetical project," let's create something. Whether we're a great fit to work together or not, at least our time was spent productively and you're able to move forward. The laws of math dictate that we can't do a game plan with everyone. We accept the top 3-5 inquiries each month based on the answers from the application form. The game plan is free. And no, it's not a 3-hour long sales pitch. It's an outline of a go-to-market strategy that will show you how to fill your gaps, achieve your goals, and serve as a road map to growth. We match our services and velocity to the needs and goals of the company we're working with. This means every client engagement is unique. But we do have common ranges. Most of our smaller clients hire us on an ongoing marketing & growth driven design budget of $5,000 to $10,000 per month. Website design projects tend to cost $7,000-$20,000 per month and last 3-4 months. To better understand your needs, the roles we would flll, the services we would provide and the cost (and ROI) of engaging us, we create... you guessed it... a game plan.